Anne Mary Frances Conan Doyle. Photo taken at Masongill by Bryan Charles Waller (1886). 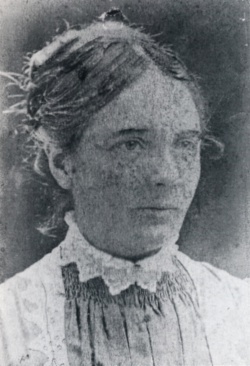 Anne Mary Frances Conan Doyle aka Annette aka Nan aka Tottie (22 july 1856 - 13 january 1890) was the first daughter of Charles Altamont Doyle and Mary Josephine Foley, and the eldest sister of Arthur Conan Doyle. Annette was born Anne Mary Frances Doyle. During her baptism, she was sponsored by John Doyle (grandfather) and Anne Conan (great-aunt), so the baby name was given the additional name of Conan. This was the first "Conan Doyle" of the family. 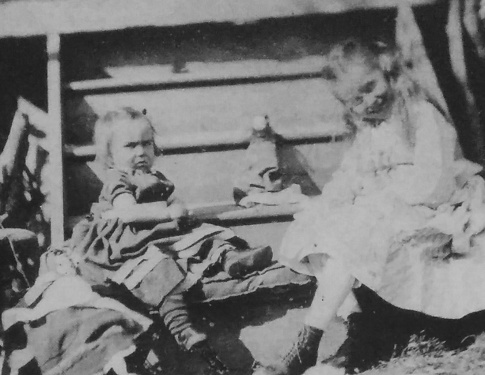 Arthur Conan Doyle, aged 2, and Annette, aged 5 (1861). 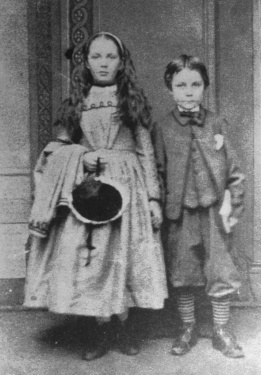 Arthur Conan Doyle, aged 6, and Annette, aged 9 (1865). 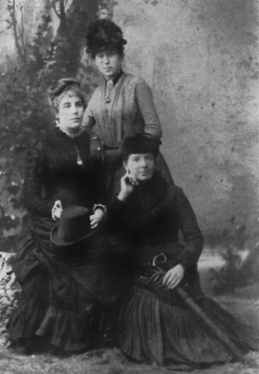 From left to right: Connie, Lottie and Annette (Lisbon). 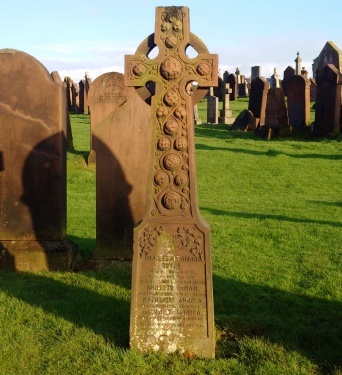 Gravestone shared by Annette, his father Charles Altamont Doyle and her sisters Katherine Angela and Mary Monica (High Cemetery, Dumfries, Scotland). 22 july : Birth of Anne Mary Frances Conan Doyle at 1 South Nelson Street, Edinburgh (Scotland). 23 july : She was baptised at St. Mary's Cathedral, Broughton. She worked very young as a governess in Portugal. Autumn : She was living at the Institution St. Clotilde in Les Andelys, 20 km south-east of Rouen, in France. Spring : She visited the Isle of Wight with his brother Arthur, his sister Caroline and a friend Jessie Drummond. 13 january : She died of influenza at 24 Rua do Sacramento do Lapa, Lisbon (Portugal) while living there employed as a governess. She was 33. This page was last edited on 28 September 2018, at 12:19.